Every so often we come across a rather enigmatic bird here in Spain called the red-necked nightjar. You are unlikely to see one of these things outside of the Iberian Peninsula but it breeds throughout Spain and Portugal and is the largest nightjar we have in Europe. These are real stunners and I have grown more fascinated by them as the years have gone by. 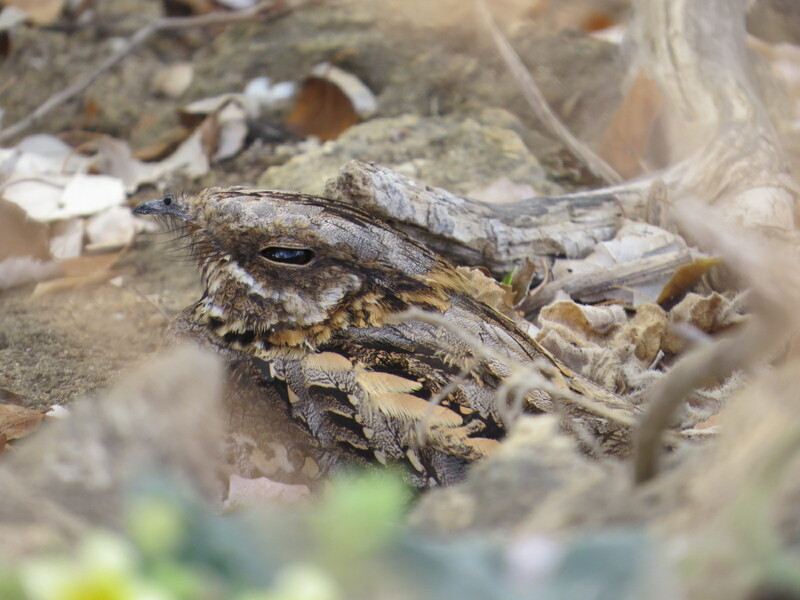 My dog Bonita is now pretty lame and is not up to her once-daily walk through the campo but she and I have, over the years, seen plenty of these nightjars just as the light is fading in the evening. Even on the edge of darkness, when they are actively searching out insects, their hawk-like silhouette makes them easy to identify. One summer, maybe four years ago now, we would stop and watch the nightjars feed on moths and their little display of aerobatics became a particular highlight. The nightjars would perch on telegraph wires scanning the skies above and slip silently into the sky to take them on the wing. And occasionally we would find them crouched on the road with their bellies on the tarmac. They can be approached very closely when they do this and when they finally take to the wing it might only be for a few metres before settling onto the road again. When driving at night, particularly on the rough tracks leading to our favourite stretches of the river the birds, again, are very reluctant to fly off and often not be flushed until the car is more or less on top of them. Even though they can be conspicuous at dusk, they are so cryptically camouflaged that they are almost impossible to see during the day when they lie motionless and silent on the ground. That is why I was delighted when Harry Abbott managed to take some day time photographs of one of these birds. These photos, taken a little over a week ago, are attached below. You can judge for yourself but I think they are wonderful. I don´t know how much longer we will have these birds around. Our red-necked nightjars will soon be on their way to join their North African counterparts (a different sub-species) to spend the winter in tropical West Africa. Not an easy thing to spot! They spend the day crouched like this and are very unlikely to be seen. 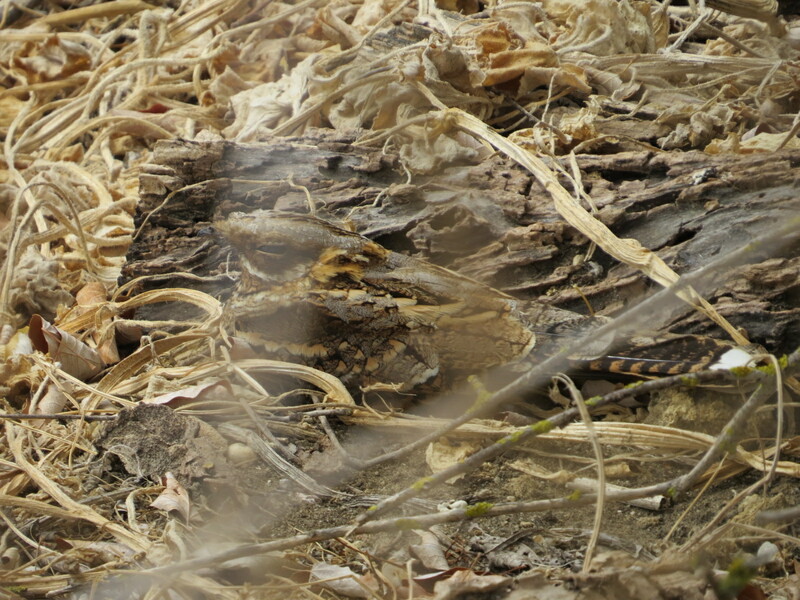 This is another of Harry´s photos but it is not a nightjar. 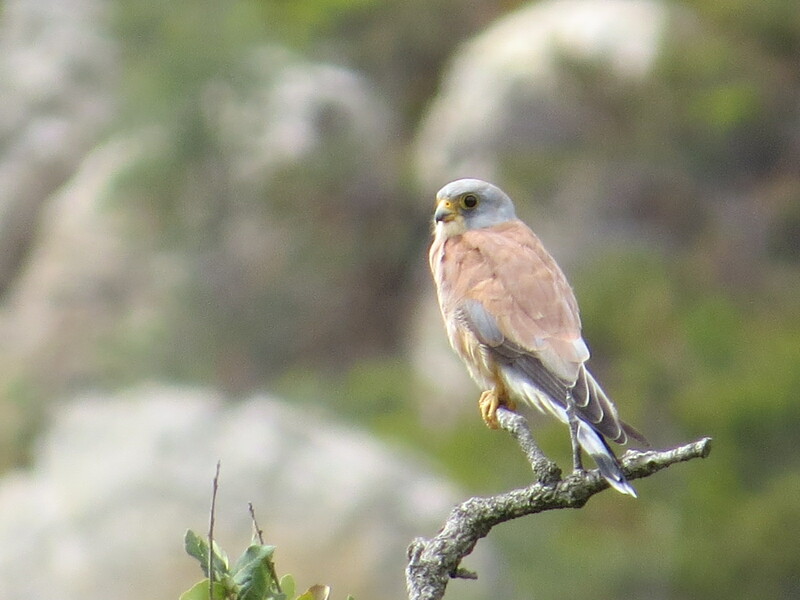 It is a lesser kestrel. 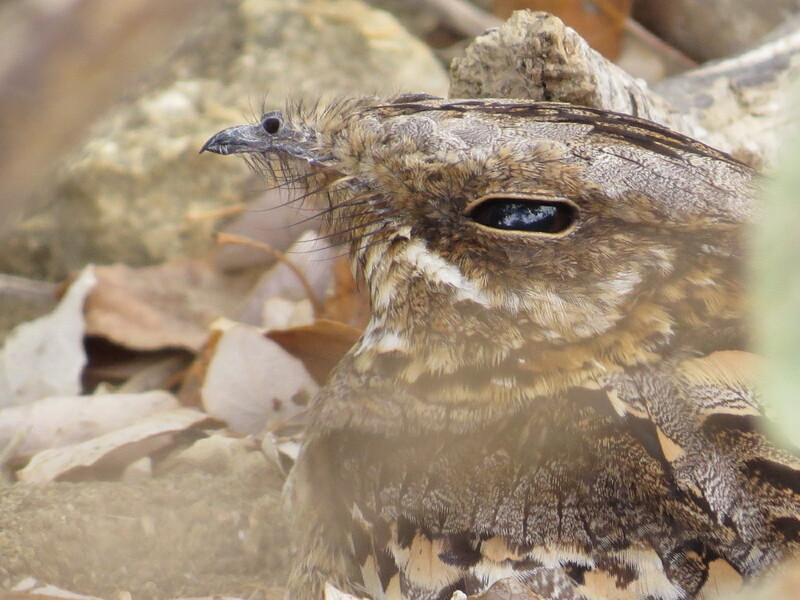 This is a bird of southern Europe which, like the nightjar, is predominantly an insect feeder. The insects may be taken on the ground or on the wing. Also like the red-necked nightjar, it is a bird that winters in Africa.